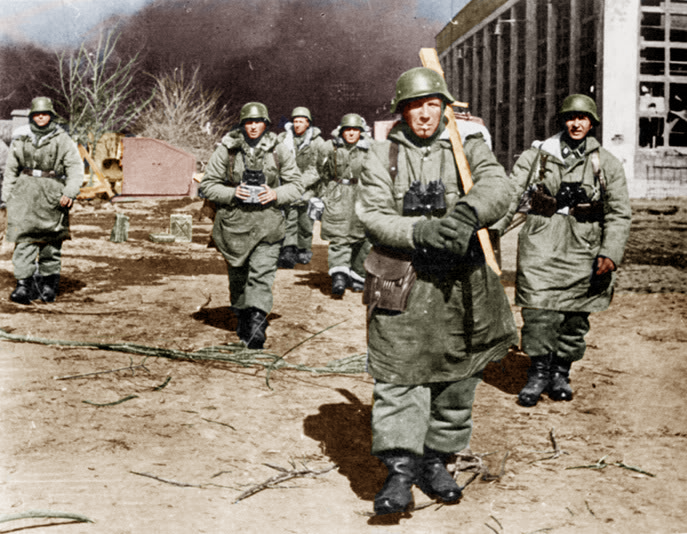 20th Century Bloodshed – IN COLOUR! German troops at one of the many Battles of Kharkov… I’m guessing 1943. Here’s a before and after. And then we’ve got this trench scene from the Western Front featuring Canadian troops at rest. Unsure on date I’m afraid. 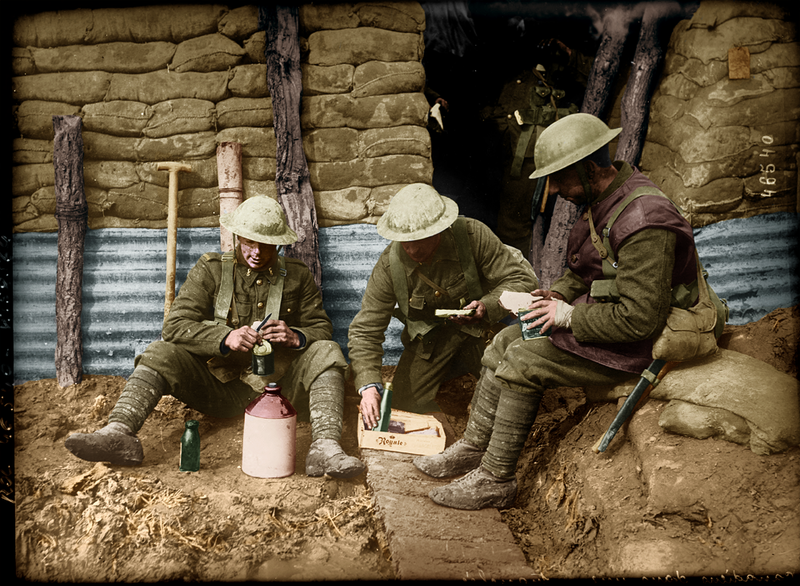 UPDATE: I sort of ended up running with the whole colourisation shebang and you can find much more of my work here.